Read all about Twins Baseball from the perspective of an avid Minnesota Twins fan. Joe Mauer Takes Grounders at First Base, It's About Time! Joe Mauer took grounders at first base yesterday and Ron Gardenhire was right next to him the whole time giving the 3 time batting champion advice. With injuries to Delmon Young and Justin Morneau, there is a big hole at first base. Cuddyer is needed in the outfield because Span and Young are injured, leaving Luke Hughes to play first base. No one is asking Mauer to become a full time first baseman, but with so many injuries on this team, they can't afford to have his bat out of the line up, which is why Gardenhire has suggested that he play some first base so that he can avoid the rigors of catching, while still being able to stay in the line up. Message to Mauer: The Twins are paying you 180 millions dollars. You are the face of this franchise and this team. If you don't sacrifice for the better of the team, than who will. You're not a great public speaker so lead by example. You need to be tough and show that you'll do whatever it takes to win because this team desperately needs you not to take off days right now with your mysterious injuries. An injured Joe Mauer is better than most substitutions Gardy is going to be able to put out there. Every since I started talking about how well the Twins are playing, they have started to slide a little. From now on, I'll just give normal previews so that they stop losing. It's only a two game losing streak but it's significant nonetheless. To recap last night: Tim Lincecum was back to his normal dominating self last night. I feel like I'm entirely responsible for that because I said that he was pitching poorly as of late. Of course he throws a gem right after I say that. 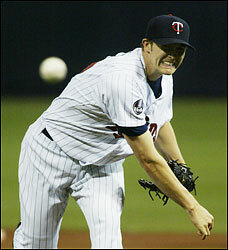 The Twins didn't score any runs against Lincecum as threw 7 shutout innings. The Twins only got four hits on the night and scored their one run in the ninth inning. Twins are now in Milwaukee and will be looking to redeem themselves. Hopefully they'll get back to their normal selves. Scott Baker will be pitching against Randy Wolf. Baker is 5-4 with a 3.24 ERa and randy Wolf is 5-4 with a 3.15 ERA. Baker has been pitching really well lately and they need him to stop this mini losing streak that we're on. Go Twins!! Tonight is a pivotal game for the Twins. After losing last night and ending their 8 game winning streak, they dropped to 7.5 games back in the AL Central race. The Tigers, White Sox, and Indians all won their games last night so it is important for the Twins to bounce back tonight. A small problem is that they will be going up against former NL Cy Young award winner Tim Lincecum. Luckily for the Twins, Lincecum is having a very sub par season for his standards. He's 5-6 with a 3.39 ERA. 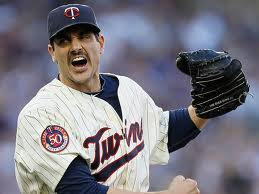 The Twins are sending Brian Duensing to the hill tonight and he's been pretty poorly this year with a 4.82 ERA but he is has been pitching better as of late. The twins should be able to get this win. Lincecum isn't pitching that well lately and some key Twins are still getting healthy. Look for Mauer and Nishioka to improve as they continue to get healthier. The Twins ended their 8 game win streak last night against the San Francisco Giants. Surprisingly, it was Nick Blackburn to the end the streak even though he has been unbelievable during the month of June. Twins played some pretty spotty defense last night, but I thought they just couldn't get any timely hitting. The Twins will be back at it tonight against the Giants. They're facing Tim Lincecum who has not been pitching well so he hopefully he keeps that up tonight and the Twins get a win. Twins players have been talking about how feels like 06 because of the hot streak they're on and the confidence they are playing with. I hate to say it, but that team had ridiculous talent at the front of the rotation with Francisco Liriano (who was pitching out of his mind) and Johan Santana. This team does have the same scrappy feel to it as that 06 team. I really think this team can compete for the playoffs. No one in the AL Central is strong and the team is really starting to hit its stride. The only team I'm a little worried about is the Detroit Tigers. They have talent at the front of their rotation with Scherzer, Verlander, and Porcello, but I don't think their line up is very good at all. The Twins lineup is going to be really good once everyone comes back, especially if Ben Revere continues to see some time in left field. With a little luck they'll be find because Detroit is going to have to stumble a little bit for this team to have a legitimate shot at making the playoffs. Thankfully the division is really weak this year, but if the Twins don't make it, it's obvious that the very slow start is to blame. In other news, Joe Mauer is playing today! That should give the Twins a nice boost. Hopefully he has his legs back under him and the Twins can continue this hot streak with him behind the plate. Gardenhire Facing Tough Decisions: Who Will Sit? With Joe Mauer, Jason Kubel, Denard Span, Justin Morneau, Nishioka and Jim Thome on the DL, a lot of players have stepped in and made cases for playing time. 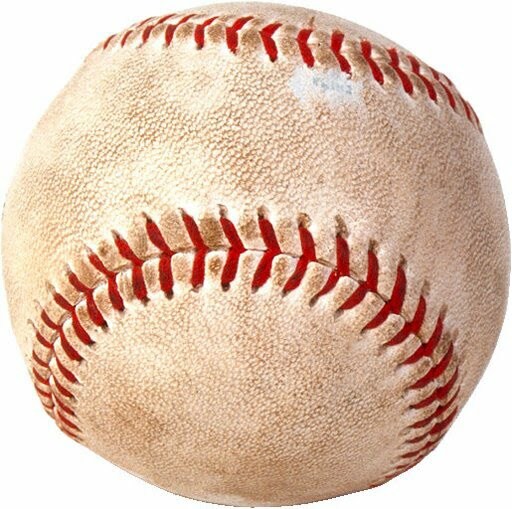 This has been a valuable time for players such as Luke Hughes, Ben Revere, Drew Butera, and Jason Repko have earned a lot more playing time. This leaves for some uncomfortable decisions for Gardenhire. Too big decisions he'll have to make will be about Luke Hughes and Ben Revere. Hughes is clearly out playing Danny Valencia and likewise for Ben Revere over Delmon Young. There just aren't enough at bats in this line up for Revere once Span and Kubel come back. That means the outfield is loaded with Cuddyer, who is playing very well, Kubel, Young, Span, and Revere. That's just not enough at bats for Revere. Which brings up my suggestion, sit Young for Revere. Revere is hitting so much better than Young and even though it takes away some power, Revere has been doing a great job getting on base. My guess is, the more at bats he gets, the more comfortable he'll be playing at this level. I expect Revere to be a .300 hitter on this team. As for Hughes. He is clearly outplaying Danny Valencia. The problem here is, the Twins believe Valencia is the answer at 3rd base for the future. Well here's my opinion, he isn't the future. We need more run production from that spot and that we need more power from the position. Hughes isn't going to provide that either, but he is hitting much better than Valencia so we should play him the rest of the year. I'm not too worried about Valencia's confidence because I don't think he's the answer at 3rd base. Please prove me wrong Danny. Ben Revere has played so well during his stint in the majors that he has earned the respect of the Twins Manager Ron Gardenhire. Revere covers a lot of ground in the outfield, makes a lot of contact, and runs the bases extremely well. His growth makes other players on the Twins expendable (I'm looking at you, Michael Cuddyer). Revere replaced Span in the lineup since he has been out with a concussion. Revere has a lot of the same qualities as Span. Span claims he has a stronger arm, but knows that he can't beat Revere in one category. Revere is a career .327 hitter in the minors, so his performance in the majors is no fluke. Look for the Twins to move either him or Span at some point considering they bring a lot of the same things to the table. As the old axiom goes, you can never have enough pitching in baseball. The Twins took that to heart as they used twenty-one of their twenty-nine selections on pitchers that they hope can make an impact in the Twins' future games. Those twenty-one are just what the Twins had as of Day Two of the 2011 MLB Draft. Of the twenty-one pitchers, 13 are from the college ranks, 2 of them from junior colleges, and 6 are currently in high school. Other than pitchers, the Twins have drafted four short stops, one center fielder and one catcher. Denard Span has missed some playing time from the feeling of vertigo combined with neck pain and a headache after a collision at home with Kansas City Royals catcher Brayan Pena. Span collided at home with Pena after attempting to stretch a trip in to an inside-the-park home fun in the fourth inning at Kauffman Stadium. Every bat since that collision Span has described as a "blur". In 2009, Span experienced similar symptoms from an inner ear infection, without the neck and head pain. I really hope we don't have another Percy Harvin on our hands. Even though Span was check in Kansas by a medical team and was determined to not have a concussion, he will be checked again back in Minnesota. The MLB recently instituted a seven-day disabled list for players suffering from concussions, but Span cannot be placed on that list unless he is diagnosed as having a concussion. 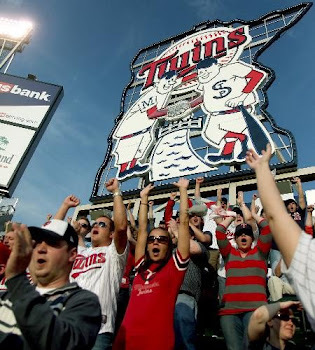 I'm a homegrown Minnesota Twins Fan, born and bred in the Twin Cities. Writing and covering all of the Minnesota Twins news. How Many Homeruns will Joe Mauer hit this season?